Kerstin Anderson plays Maria Rainer in the national tour of Rodgers & Hammerstein’s “The Sound of Music,” directed by Jack O’Brien. Anderson is joined by the von Trapp children: (L-R) Svea Johnson who plays Brigitta, Audrey Bennett (Gretl), Quinn Erickson (Kurt), Mackenzie Currie (Marta), Maria Knasel (Louisa), Erich Schuett (Friedrich) and Paige Silvester (Liesl). 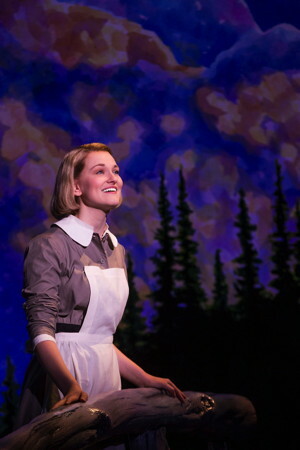 “The Sound of Music” is now playing at the Center Theatre Group/Ahmanson Theatre through October 31, 2015. 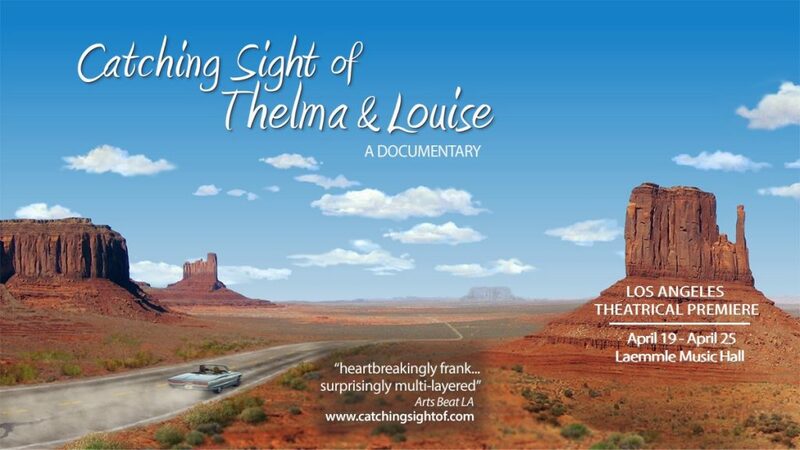 Tickets are available at CenterTheatreGroup.org or by calling (213) 972-4400. Contact: CTG Media and Communications / (213) 972-7376 / [email protected] Photo by Matthew Murphy. Heavenly harmonies, a singing nun and a passel of adorable children — family entertainment doesn’t get more wholesome than The Sound of Music, which opened this week at the Ahmanson Theatre at the Music Center in Downtown LA. Rodgers & Hammerstein’s classic musical confection has delighted audiences since it was first staged in 1959. The original Broadway production, starring Mary Martin and Theodore Bikel, was a five time winner at the 14th Tony Awards, out of nine nominations. No wonder — the entire evening is a parade of hit songs, each more beloved and familiar than the last. Familiar, because they have been in the popular consciousness for over half a century. In fact, it’s difficult to separate one’s nostalgia for the popular work from one’s appreciation of it live on stage today. Even if you’ve never seen The Sound of Music performed live, almost everyone in the Western world surely has seen, in part or in full, the 1965 movie version which famously starred Julie Andrews in the central role of Maria. 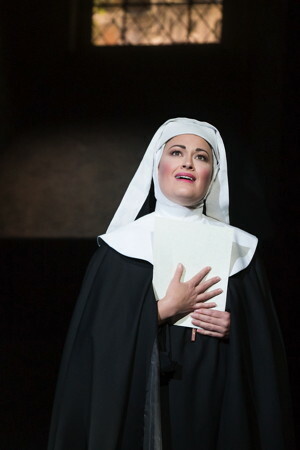 For this nationally touring production, Kerstin Anderson plays Maria Rainer, the novice nun whose irrepressible joie de vivre and unquenchable urge to burst into song has her (more or less) kicked out of the Nonnberg nunnery to venture into the wide world. She essentially moves from one cloistered environment to the next — heading straight to a plum position as governess in a wealthy Austrian household, picturesquely situated at the foot of her beloved Alps (“The Sound of Music”). Her charges are seven adorable children, ranging in age from 16 down to about 5, and — get this! 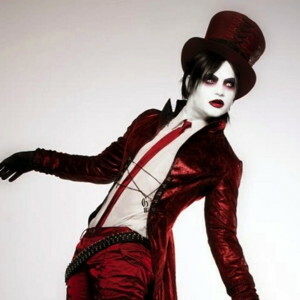 — they can all sing like angels! Their father, Captain Georg von Trapp (Ben Davis) is the stern widower who runs the household with military precision. That is, until lovely Maria melts his stony heart. The story is set in Salzburg, Austria, just before World War II, and so the very real threat of Nazism as it begins to take hold is a thrilling factor in the otherwise fluffy tale. Kerstin Anderson as Maria is great — all dimples, blonde hair and effervescent energy — but it’s Ashley Brown as The Mother Abbess who steals the show with her superlative performance. A highlight is an especially gorgeous duet Brown shares with Anderson, “Favorite Things,” where their voices are perfectly matched. The entire cast work well together, with the children winning our hearts with their beautifully modulated performances. The von Trapp children are played by: Erich Schuett (Friedrich), Maria Knasel (Louisa), Quinn Erickson (Kurt), Svea Johnson (Brigitta), Mackenzie Currie (Marta) and Audrey Bennett (Gretl). Director Jack O’Brien introduces his brand new discovery, Kerstin Anderson, as Maria Rainer. A current student at Pace University, Anderson won the coveted role from hundreds who auditioned. This is her first national tour. If you’ve never seen The Sound of Music — or even if you’ve seen it dozens of times — this is a wonderful production that’s perfect family fare. Running time is 2 hours and 45 minutes, with one intermission. 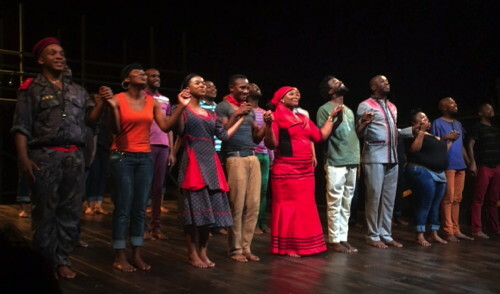 Now playing at the Center Theatre Group/Ahmanson Theatre through October 31, 2015. Tickets are available here or by calling (213) 972-4400. Kerstin Anderson plays Maria Rainer in the national tour of Rodgers & Hammerstein’s “The Sound of Music,” directed by Jack O’Brien. 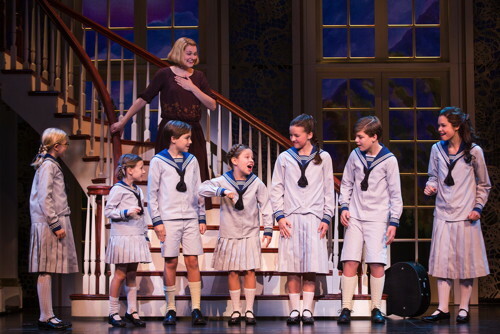 Anderson is joined by the von Trapp children: (L-R) Svea Johnson who plays Brigitta, Audrey Bennett (Gretl), Quinn Erickson (Kurt), Mackenzie Currie (Marta), Maria Knasel (Louisa), Erich Schuett (Friedrich) and Paige Silvester (Liesl). “The Sound of Music” is now playing at the Center Theatre Group/Ahmanson Theatre through October 31, 2015. Tickets are available at CenterTheatreGroup.org or by calling (213) 972-4400.